To celebrate the 75th anniversary of the release of Disney's Bambi, the Academy in LA is going to host a panel discussion, and I feel honored to be a part of it. 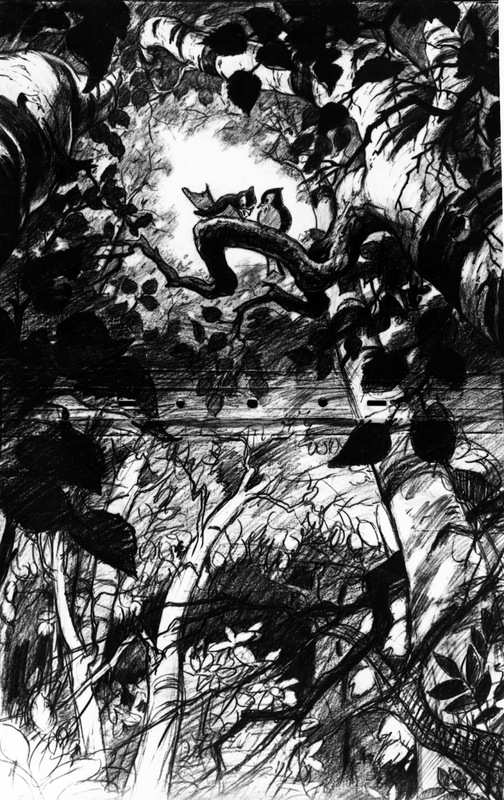 This event will take place on May 15. 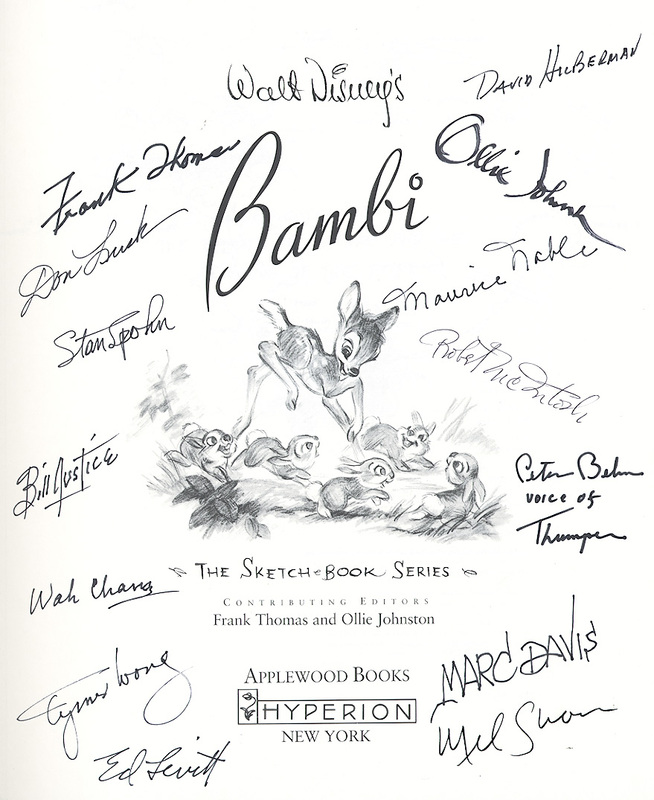 I had the pleasure of meeting Peter Behn (voice of Thumper) and Donnie Dunagan (voice of Bambi) a number of years ago, and I look forward to talking to them again. 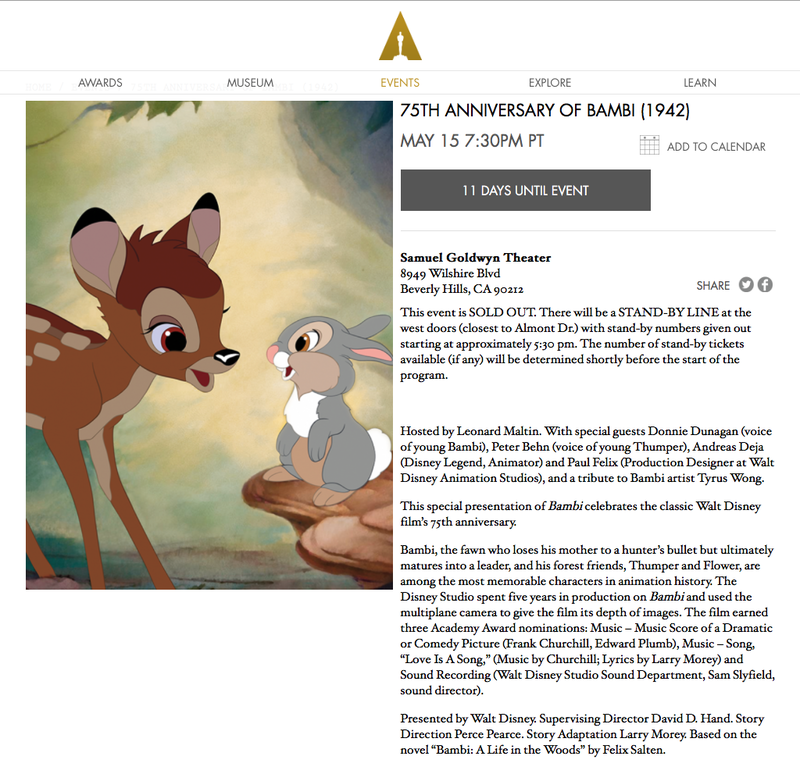 A reminder of the caliber of artists who were part of this incredible film. 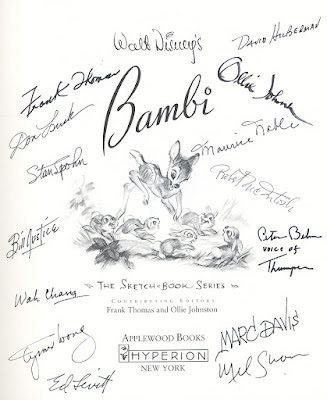 These signatures are on the title page of the out of print Bambi Sketchbook. 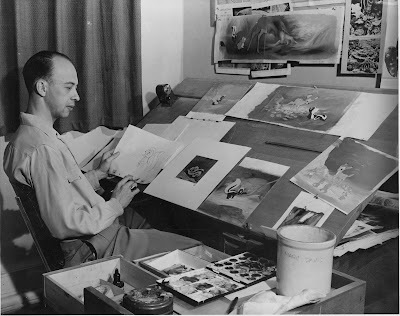 Marc Davis spent several years in story before animating the character of Flower. A long vertical layout from the film's opening sequence. It takes a lot of guts to be simple when it comes to animation backgrounds. 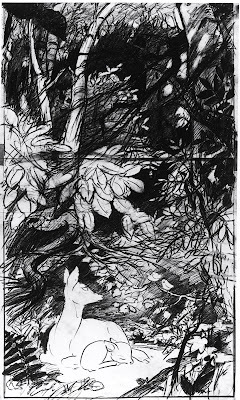 This film would have looked very different if it wasn't for the dramatic artistic vision of Tyrus Wong.